With so much valuable information on your career portal, it’s necessary to have proper moderation controls in place. 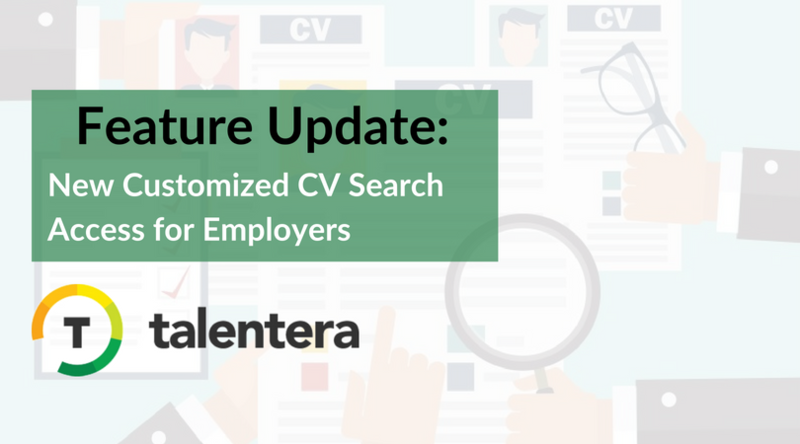 Your company admins should have the ability to authorize and manage how employers are able to access CV search- be generous, or very vigilant, this Talentera update gives you the freedom to take charge of your hard earned talent pool. Not all information is meant to be shared. Organizations that allow other employers to use CV search on their career portal are now equipped with permissions to decide for themselves on how they choose to share the profiles of job seekers and budding talent in their database. Offering full, restricted and no access options- our customers now experience the benefit of being in utmost control of the CVs that other employers are able to avail access to. 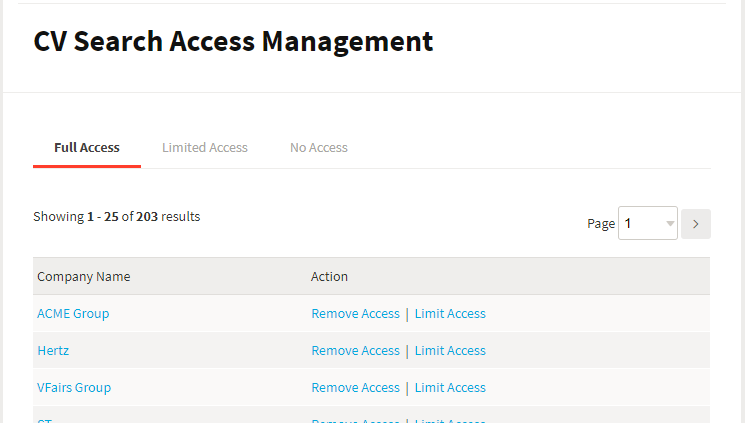 1) Click on the new “CV Search Access Management” option in the Admin Panel. 2) You will see a list of all employers in your career portal along with their current access privileges to CV Search. There are three tabs: Full Access, Limited Access, and No Access. 3) You can change settings based on your preferences to modify employer privileges that have been granted. 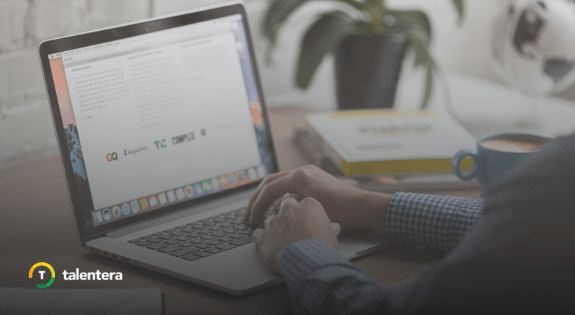 The easy to use interface gives users a new and helpful view to always know which organizations have access to CV search capabilities. 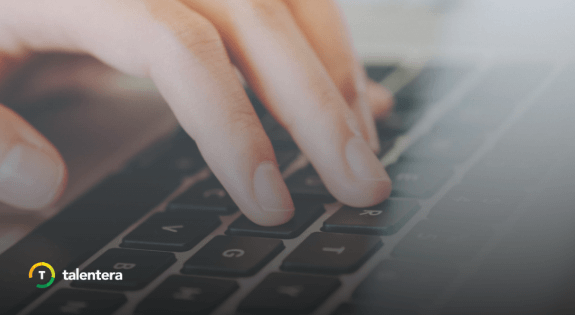 Edit your employer access to fully take charge of your talent database; the permission options protect your candidate pool from unauthorized access so you can moderate settings with absolute peace of mind. This enhancement is available for access to all multi employer career portals powered by Talentera. If you wish to learn more about this feature, please get in touch with your account manager as they will be happy to help.